I don't know about you, but we have some Wiggles fans in our house! Which is why we are pretty excited to hear that The Wiggles are bringing their “catchy brand of preschool pop” (Chicago Tribune) back to North American audiences, specifically to us here in Pittsburgh. 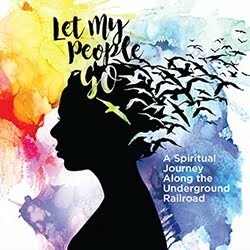 Tickets range from $19.50 – $49.50 and are available at TrustArts.org, by phone at (412) 456-6666, or in person at the Box Office at Theater Square, 655 Penn Avenue. The North American tour will support The Wiggles’ new CD and DVD, Apples and Bananas (available August 26), as well as a new season of their hit television show airing on Sprout. The Wiggles “Ready, Steady, Wiggle” North American Tour is part of the Cohen & Grigsby Trust Presents Series. Don’t miss your chance to see the “forever-young” (Detroit Free Press) quartet enchant legions of fans with a Wiggly dose of singing and dancing designed to educate and inspire healthy choices in children. Children can have even more wiggly fun while they wait for the show by visiting www.WiggleTime.com, The Wiggles’ very own virtual world created specifically for preschoolers and their parents. Parents can monitor their child’s progress and have access to premium promotional offers, contests, merchandise discounts and presale Wiggles tickets! 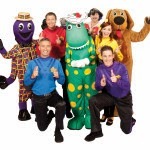 For a complete list of tour dates go to www.thewiggles.com. After more than 24 years of performing, The Wiggles are the world’s #1 Children’s entertainment group. With 7 million albums, 23 million DVDs and 8 million books sold, The Wiggles have performed to millions of fans across the globe. Since releasing their self-titled album in 1991 the group has wiggled its way to worldwide fame. More than 50 CD and DVD releases later, they have earned 17 x gold, 12 x platinum, 3 x double-platinum, 10 x multi-platinum awards for their music and DVD sales and winning 11 x ARIA Awards (Australian Recording Industry Association) for Best Children’s Album (making ARIA history as the most awarded ARIA winner in the one category.) North American fans can catch The Wiggles daily on Sprout in the U.S and Treehouse in Canada. 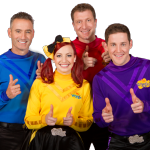 You can also follow the gang on Twitter via Twitter.com/TheWiggles or become a fan of their official Facebook page Facebook.com/TheWiggles. For more information: www.thewiggles.com. A new Wiggles era has begun and wiggly history is being made! The Pittsburgh Cultural Trust has overseen one of Pittsburgh’s most historic transformations: turning a seedy red-light district into a magnet destination for arts lovers, residents, visitors, and business owners. Founded in 1984, the Pittsburgh Cultural Trust is a non-profit arts organization whose mission is the cultural and economic revitalization of a 14-block arts and entertainment/residential neighborhood called the Cultural District. The District is one of the country’s largest landmasses curated by a single nonprofit arts organization. A major catalytic force in the city, the Pittsburgh Cultural Trust is a unique model of how public-private partnerships can reinvent a city with authenticity, innovation and creativity. Using the arts as an economic catalyst, the Pittsburgh Cultural Trust has holistically created a world-renowned Cultural District that is revitalizing the city, improving the regional economy and enhancing Pittsburgh’s quality of life. Thanks to the support of foundations, corporations, government agencies and thousands of private citizens, the Cultural Trust stands as a national model of urban redevelopment through the arts. For more information, visit TrustArts.org.